Ante Rebic netted a spectacular goal in the second half after a mistake by Argentine goalkeeper Wilfredo Caballero to open up the Croat barrage. The second goal was scored by midfielder Luka Modric and Ivan Rakitic rounded out the goal fest with a dagger at the very end of the game, solidifying the victory over Messi's squad. After a goalless first half, Ante Rebic capitalized on a poor play by Argentina’s goalkeeper Willy Caballero and slammed a sumptuous volley into the net in the 53rd minute. Argentina's hopes of equalizing the score were extinguished after Croatia captain Luka Modric curled a stunning shot into the top right corner from outside the penalty area in the 80th minute. Ivan Rakitic wrapped up an excellent team performance as he scored in stoppage time, to bring his side victory. Croatia have secured their place in the round of 16 by earning maximum points from their opening two games. The match had been viewed as a key game in Group D, which was poised to decide whether Argentina would make it to the play-off stage after FC Barcelona star striker Leo Messi missed a penalty last week, resulting in a 1-1 draw with Iceland. Argentina captain Lionel Messi and forward Sergio Aguero were among the starting roster for their side against Croatia. 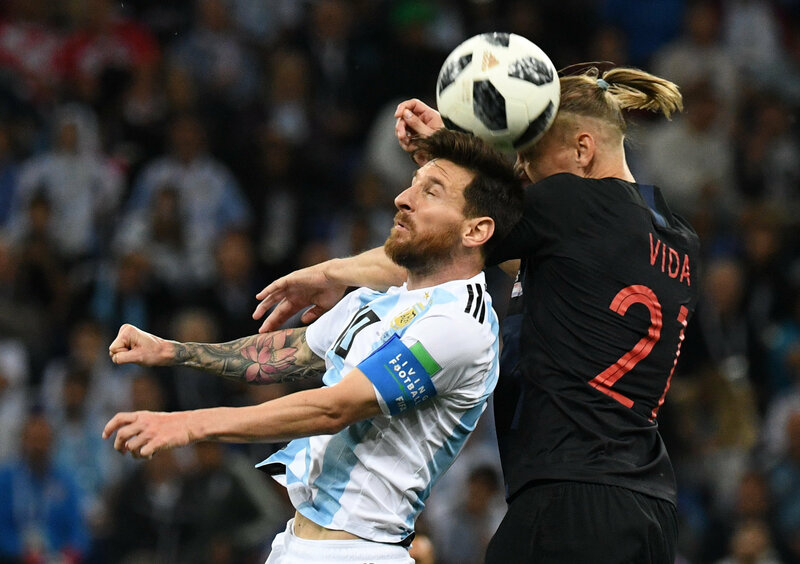 However, the individual skills and talents of Messi and Aquero stalled against the tough defensive teamwork of Croatia's squad. As three teams have already made it to the play-off stage of the World Cup, the match between Argentina and Croatia was expected to decide the fate of Group D.
During their first matches at the World Cup in Russia, Croatia beat Nigeria 2-0, while Argentina had a 1-1 draw with Iceland. The Group D match will be played at the Nizhny Novgorod Stadium later on Thursday. Meanwhile, Croatia captain and midfielder Luka Modric was named the man of the match after he helped his side to defeat two-time World Cup champions Argentina 3-0 in their second Group D match in Nizhny Novgorod on Thursday.